Thick and smooth plastic finishes! Matte Finish with Glossy areas! If you are tired of cheap quality postcard printing and are looking for high quality at a reasonable cost, then we are the right fit for you. We have online ordering and pricing available on 14point Satin Varnish, UV glossy coated and matte Postcards all at competitve prices. 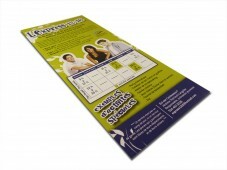 A nicely designed Postcard is a great way to get your message across in a quick and affordable way. Sometimes it's better to use a postcard rather then a folded brochure if you want to quickly grab your prospect's attention. If your message is quick, clear and concise, your postcard will have a greater chance to communicate with your prospective clients. Try to use bold graphics and colors and quick points, rather then text-heavy layouts in your postcard design to get noticed. Once your design is perfected, the rest of the equation for a successful postcard is the printing. 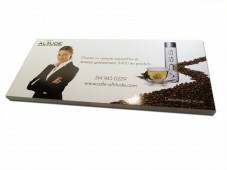 Ensure that your postcard is printed on a high quality commercial printer, rather than a local copy shop machine. Also that the postcard is printed on a nice thick card stock with an overall protective varnish applied to enhance the presentation. Montreal Printing would love to help you with your postcard printing campaign, order directly online or let us know what you need and we'll make sure your project gets the attention it deserves!